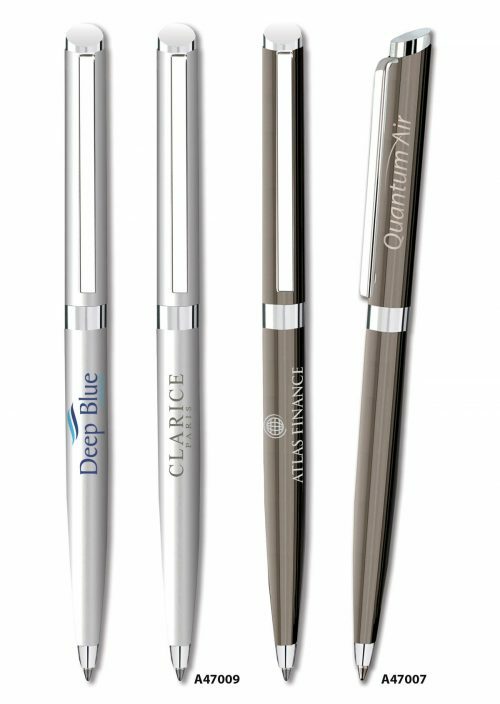 A high quality elegant twist action ballpen in silver satin chrome or a gloss gun metal plated finish with bright chrome styling. 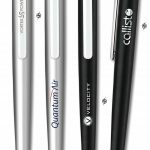 A47007 Elise ballpen by Inovo Design in gloss gun metal plating with bright chrome styling. 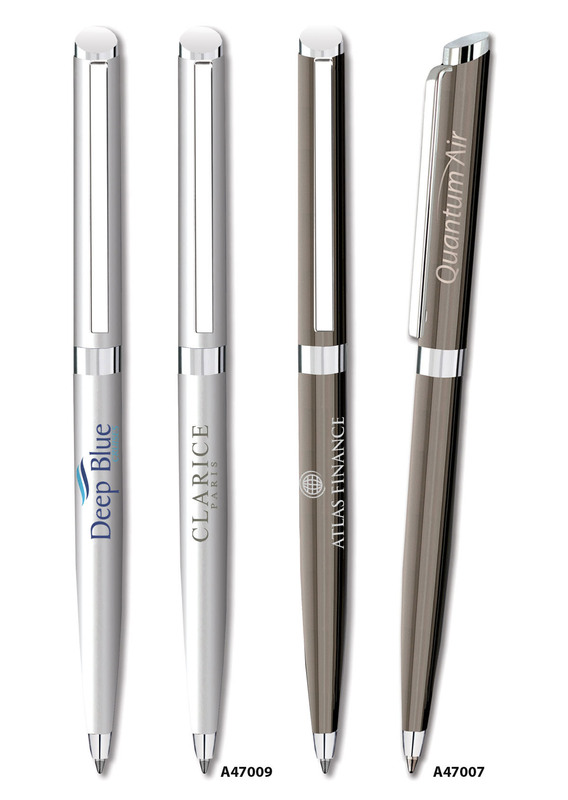 Fitted with a high quality German made Parker style black ink refill. 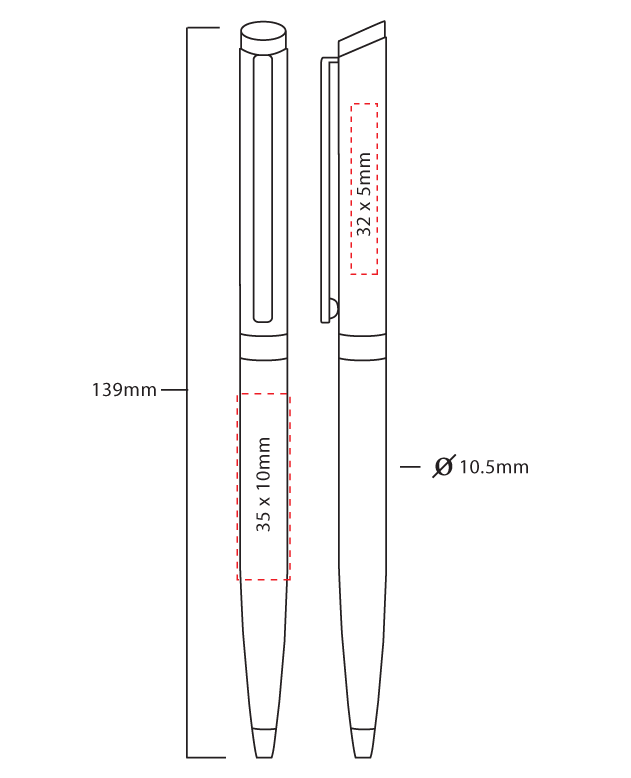 A47009 Elise ballpen by Inovo Design in silver satin chrome with bright chrome styling. Fitted with a high quality German made Parker style black ink refill.